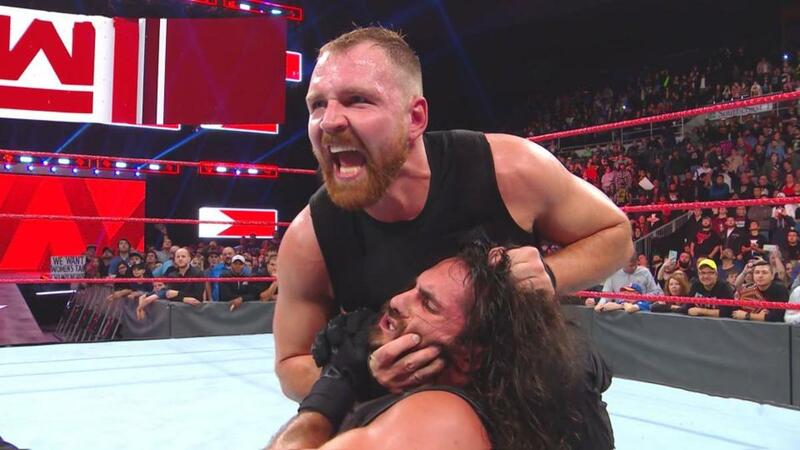 What was supposed to cap off Raw on a high note ended instead in confusion as Dean Ambrose ambused Seth Rollins right after they won the Raw tag team titles. The Shield had announced before the match that they were dedicating the match to Roman Reigns, who announced earlier in the show that he would be taking a leave of absence to battle leukemia. After Braun Strowman chased Drew McIntyre out of the arena, Rollins picked up the win for his team after hitting the curb stomp on Ziggler. Rollins and Ambrose were celebrating their title win when suddenly Ambrose laid out Rollins with the dirty deeds DDT. Ambrose continued to beat on Rollins, sending him out of the ring. After throwing the tag titles at Rollins, he then uncovered the mats outside the ring, revealing concrete. Ambrose gave Rollins another dirty deeds on the exposed concrete as he exited through the crowd to close out the show. WWE Raw live results: Will The Shield reunite?